The Shin Nihongo no Kiso series of Japanese textbooks was very important in helping me successfully learn Japanese. The first book Shin Nihongo no Kiso I enables the beginner or new learner to master the basics and make simple sentences and conversation. The second book Shin Nihongo no Kiso II is for the more advanced with more advanced conversations based on real life daily situations. The series starts with the Shin Nihongo no Kiso Main Textbook with seperate English Translation and Grammatical notes available. The main textbook is all in Japanese, which is a great way to immerse yourself in the language, but I highly recommend getting English Translation and Grammatical notes as they really helped me. The English Translation lists the vocabulary for each chapter in romaji, kana and English as well as an English translation of the sentence patterns and example sentences from each chapter. The Grammatical Notes in English explain in detail the grammatical points and structures for each chapter with lots of examples to help you with correct usage. I have found that my grammar, vocabulary, sentence structure and reading and writing improved dramatically using this book. It was also a great aid in studying for the Japanese Language Proficiency Test. Thank you Muza-chan, I am glad you enjoyed it. It is great motivation to study Japanese. 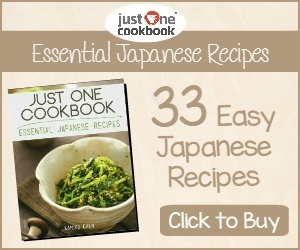 Thank you Yashi, great to hear you want to learn Japanese and this book will help you greatly. Ganbatte!! I cant seem to find the american translation of the first one. So I found the Shin Nihongo No Kiso I in Japanese but I am not sure which translation book I found this one http://www.amazon.com/gp/product/4906224660/ref=ox_sc_act_title_1?ie=UTF8&psc=1&smid=A2MU9ZILHNPP6L, or this one http://www.amazon.com/Shin-Nihongo-No-Kiso-Bunpo/dp/4906224695/ref=sr_1_4?ie=UTF8&qid=1323019110&sr=8-4 which one would you say I get. Hello, The first one looks like the right translation book, but it is in Portuguese. You are probably looking for an English one. The second book is in English, but is an explanation of the grammar contained in the book. It is also pretty handy to have along with the translation. Do you not recommend Genki series? 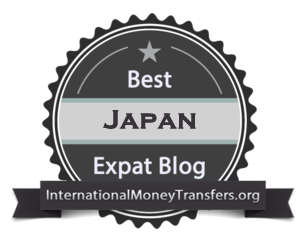 How does it compare to Shin Nihongo no Kiso? I know that it's also the company that made Minna no Nihongo and when compared to Genki, Genki is more user-friendly and Minna no Nihongo can get expensive with the several books needed for purchase. I'm looking into purchasing "The introduction to Modern Japanese", as per your recommendation, not sure of the inside content since I'm unable to preview it. Hi Sasha, Thanks for leaving a comment. The Genki and Minna no Nihongo series books are OK but out of all the resources I used for a beginner I would recommend either the "Japanese Demystified" textbook by Eriko Sato or "The introduction to Modern Japanese" as they most helped me. The Shin Nihongo no Kiso series really helped me with study for the Japanese Language Proficiency Test. Hi Dillon, Yes, you can and it is not too difficult. I would recommend starting with a beginners text like either the "Japanese Demystified" textbook by Eriko Sato or "The introduction to Modern Japanese". The key is to stay motivated and try and fit in as much study as you can. This could be 10 mins a day, or 1 hour 2-3 days a week. Good luck and happy studying. Thanks Anon, Glad to hear you are a keen student of Japanese and keep up the great work. You can sometimes find used copies of the audio CDs online. I'm 13 and i've just started out on Japanese. I want to but this textbook but is the 'Main Textbook Romanized Edition' the same as the one you've suggested? Also would this book be good for a beginner like me? I really want to learn all I can about speaking and reading/writing in Japanese. I have a bit of a money shortage (I'm only left with $30.00 CAD) and i'd like to strat off properly. What would you recommend I learn first and where can I buy it! i want to say that i am very interested to learn japaneese. This interest grew inside me as I see lots of animes. I know the basic phrases told by them. I learned them from animes. my question is do japanese people talk like it is heard in anime? Morover I'm totally unaware of any japanese letters.So, can you suggest me any book which contains learning of letters from the beginner's level. 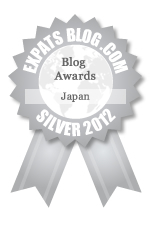 And also suggest me book so that I can learn hirangana, katakana, and kanji from basic level. Is shin nihiongo no kiso perfect for me? Hello Aphrodi, Thanks for the comment. Most Japanese on a daily basis would speak like they do in an anime, which is very informal. This language is usually used between family and friends. Japanese Demystified by Eriko Sato, which is a great self-teaching guide for learning Japanese. It begins with a review of Japanese writing systems, basic pronunciation, and everyday expressions. The book covers key grammar fundamentals such as particles, nouns, verb forms and honorifics. It will help you build your vocabulary with essential words and phrases. You can even test yourself at the end of every chapter for reinforcement. 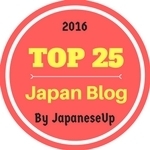 It allows you to learn at your own pace and build the fundamentals to effectively learn Japanese. An Introduction to Modern Japanese by Osamu Mizutani & Nobuko Mizutani, which is a is a fantastic book for learning Japanese. The book is designed to give the reader a solid foundation in modern Japanese, sufficient to handle everyday conversations and discussions as well as the ability to express their interests and life. 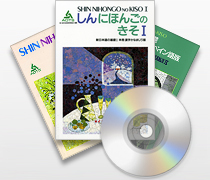 Would the "shin" series mentioned still be applicable in 2013 or is there a more modern book out there that will be able to help me learn japanese available? Thanks Ricardo, Yes, the "shin" still applies today as the Japanese language structures and grammar patterns have not changed much over the years. New words do constantly come into the language but these are more for later. First you need to learn the basic grammar patterns and this book is great at that. what would be the most modern book to get for someone who wishes to learn japanese and has a minimal background due to watching alot of anime and dramas? Most of the books recommended on this site would be sufficient as the first step in learning the language is to build up vocabulary and learn the basic grammar patterns and sentence structures. The Shin Nihongo series is great for that as well as other books like Japanese Demystified and An Introduction to Modern Japanese. I'm just about done with SNNK1 and I really liked it so I plan to get the second volume as well. I was only using the main text and grammatical notes and got by without the translation since I just looked up the vocabulary in a dictionary. The only instance in which I would have liked to have the translation is for those expressions that appear at the end of most of the vocabulary lists. Now for SNNK2 I am considering purchasing the translation so I was wondering how useful it actually is and if you would recommend it, i.e. will I get something more from it than just the translations of those expressions? Are the expressions themselves reason enough to get the translation? お疲れさまでした。Good job with SNNK1, glad to hear you enjoyed it and plan to get the second volume. If you got by got by the first time without the translation then I probably wouldn't bother. Like you said you can use other sources to find out the meaning. It was just easier for me to have it with me when I studied but I don't think it is a necessity. Hello was wondering is the "English translation and grammatical notes" 2 or 1 book? Hello Anon, They are two separate books. Hello, can tell me what book you got? i bought this book ( http://www.amazon.com/Shin-Nihongo-Kiso-Text-Version/dp/4906224512 ), and I'm not sure if this is the right one. the whole book is in Japanese so i can't learn from it. Hi Anon, Yeah I got that one as well. The main book is all in Japanese. You can also get an English Translation and Grammatical Notes as well that go along with the main textbook. Ok, so I bought this book. Is this the only book I need? Do I need the main textbook? Hi Paul, What you have there is the Grammatical notes which go along with the main textbook. It explains the grammar that is used in the main textbook. I would still go ahead and get the main textbook as it is the one you need the most. Oh I see, is it this one?